Lockhart’s BBQ Gift Card Contest – Enter to win a $50 Gift Card to the Downtown Lake Orion Lockhart’s BBQ location! Enjoy a wonderful lunch or dinner with your family compliments of Oakland County Moms and Lockhart’s BBQ Lake Orion! We’re not only going to giving away a $50 gift card THIS month, we’re going to be doing it all year! e-mail me at lisa@oaklandcountymoms.com. Put Lockhart’s BBQ SPRINGin the subject line and don’t forget to include ALL of your contact info (name/e-mail/phone #). Please let me know if you’ve completed steps 1-3. I’ll accept entries through Sunday, May 12, 2019 and draw/notify a winner on Monday, May 13, 2019. Winner will be instructed on how to pick up their Lockhart’s Gift Card. The winner will be announced on this page on Monday, May 13, 2019. The winner will receive 1 $50 Gift Card to be used at the Lockhart’s BBQ location in Downtown Lake Orion. Winners will have their GCs snail mailed to their home. Oakland County Moms is NOT responsible for lost mail or late delivery. May 13 Winner – TBD Enter Today! 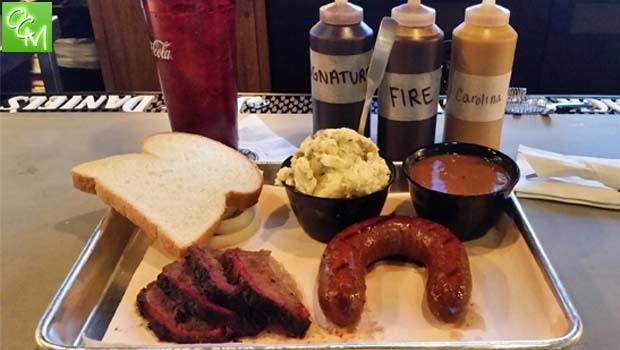 Lockhart’s BBQ locations distinguish themselves from other Oakland County BBQ restaurants in that both have extensive menus compared to other BBQ restaurants around town. Simply put, even if brisket and ribs aren’t your idea of a goto meal, you can find plenty of menu items to suit all ranges and tastes. Several salads, numerous sides, unique apps, smoked salmon, gumbo, jambalaya, fried catfish… All creative menu items that incorporate Lockhart’s meats and take the meals a step further to appeal to a diner whose tastes may be broader than brisket on a tray. Check out our Oakland County Moms Lockhart’s BBQ Lake Orion review. Special thanks to Lockhart’s BBQ Lake Orion for providing the tickets for Oakland County Moms for this Lockhart’s BBQ Gift Card Contest contest!